Cultural preservation doesn’t just mean the objects themselves; you need the context within which to appreciate them. We can’t rebuild great old clubs that don’t exist any more (well, mostly not), but we can put together some elements to remind people of just what was happening and the feel of it. 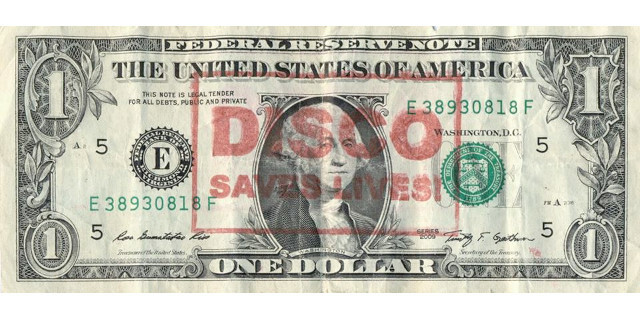 The SF Disco Preservation Society preserves old club mixes that happened to be recorded. 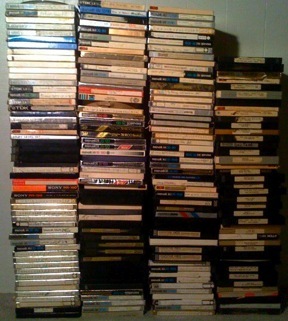 They’ve ripped these tapes and put up several hundred hours of mixes from the 1970s, 1980s and 1990s. The universe works in mysterious ways! We recently acquired a reel-to-reel tape deck for our studio so that we could start offering reel-to-reel tape conversions. A week later, while browsing the Craigslist classified ads online, I found a post from a woman looking to have a reel-to-reel tape collection converted to CD. 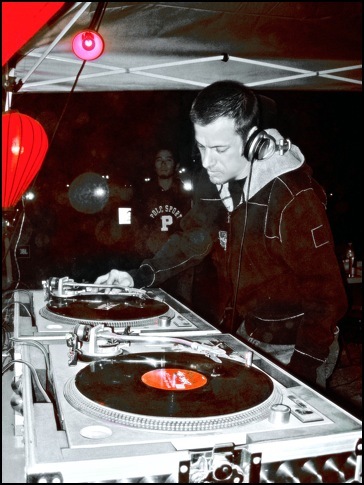 I contacted her and was so excited when she told me what the tapes contained…….Her dad’s (DJ MICHAEL LEE) live disco mixes that he recorded while DJing at various clubs in San Francisco from 1976-1979! She dropped the tapes off to me, I loaded a few on the reel-to-reel deck, and was completly blown away by the collection. She was also kind enough to include a stack of Disco and music magazines from the same era, as well as her dad’s record pool charts. I will be archiving all of his mixtapes as well as posting his charts and scans of all of the magazines that she brought to me. 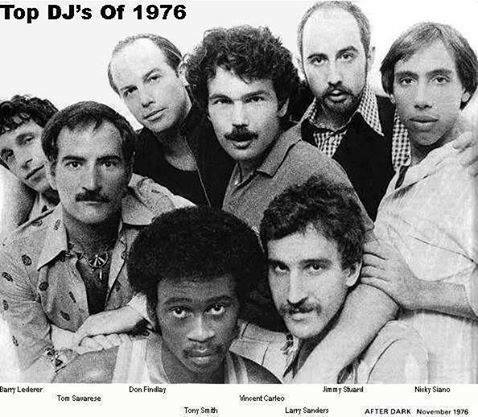 This is San Francisco Disco history! 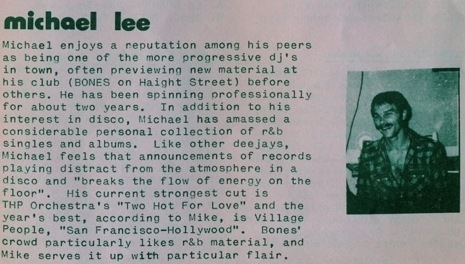 It needs to be preserved for future generations of Disco fans. We hope you enjoy these pieces of audio history! An extra special thanks goes out to Rhani, Michael’s daughter, for holding on to this material and handing the collection over to me to preserve. We have also acquired an additional 220 reel to reel DJ mixes from the 70’s/80’s. A large box of cassette DJ mixes are also coming our way!! !